Does Gillies make a ‘distressed’ Dodge Avenger? I like a little wear n’ tear right off the lot. Satellite, Bluetooth? WTF happened to 8-tracks and CBs?! I want some doobie in my funk. BTW, what’s with the Dodge NAZI color branding scheme?! Is that the new Detroit? What about the Agrarian Rising Rainbow Coalition? What is Dodge doing for the Doomed? 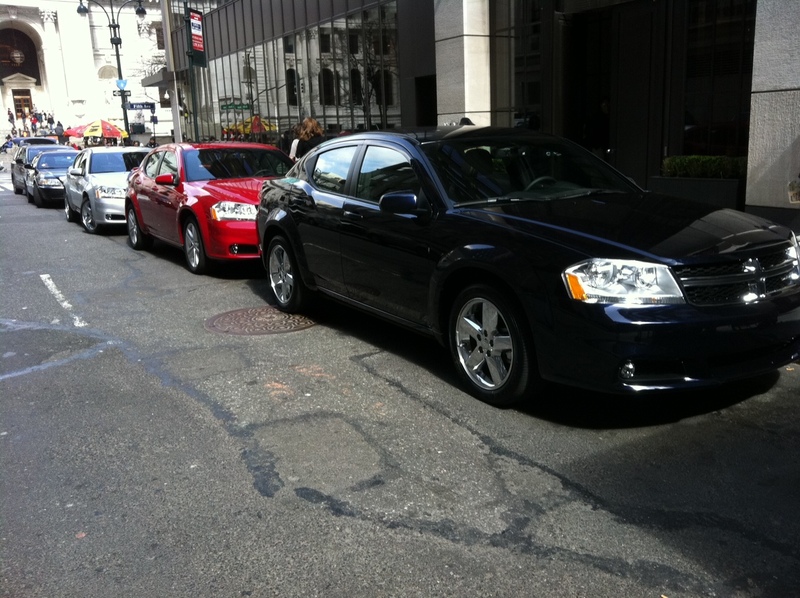 "Dodge Avenger Ride & Drive" was written April 27th, 2011	by Gretchen Schneider, and filed under Cars and tagged detroit, Dodge, Dodge Avenger, Kelly Ryan O'Brien, New York International Auto Show, Ralph Gilles.